“The force of nature is against us, so the architecture needs to have the strength—the brutality—to stand up to it,” says Gassner in a 2017 interview with American Cinematographer. 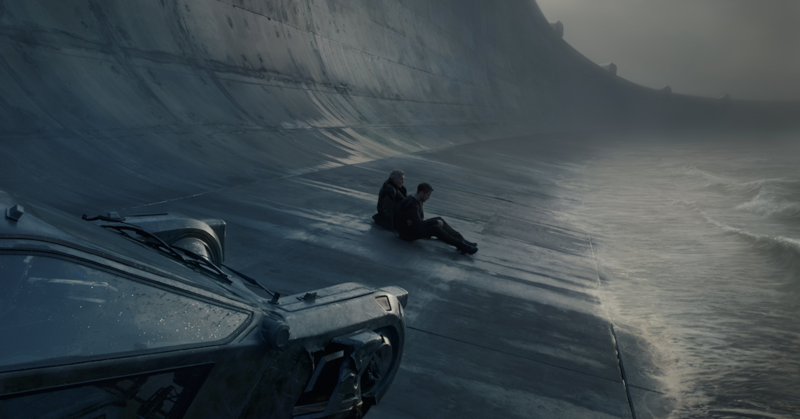 From the dystopian design of “Blade Runner 2049,” which is nominated for Best Production Design in the 90th Academy Awards, to the near-futuristic conception of a Los Angeles that is part-Shanghai, part-beach city in “Her,” production designers in films have used the medium to predict what our urban landscape will look like in the years to come. 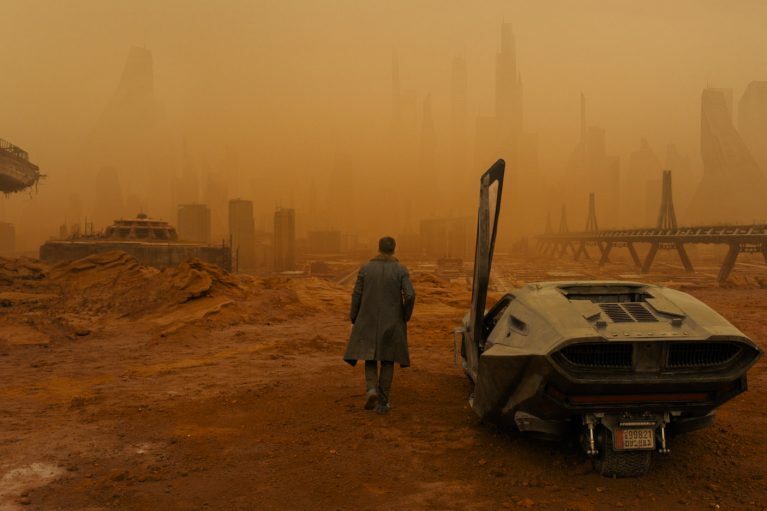 These films seem to draw from their own artistic inspiration that is, in part, informed by a world that experts and scientific reports predict will be more populous and more polluted in the near future. The global population is expected to hit 9.8 billion in 2050, per the UN Department of Economic and Social Affairs. Global warming will lead to drought and desertification by 2050, along with rising sea levels and impaired air quality. Ultimately, for production designers and architects alike, it is up to them to decide how the future will look, whether it be one of optimism or one of significant change. As architects, what we do is we envision the future with every building, every urban design and every issue. “As architects, what we do is we envision the future with every building, every urban design and every issue,” says Kyle Bergman, founder and director of the Architecture & Design Film Festival (ADFF). When it comes to film as opposed to famous (and non-cinematic) utopias, Bergman says that, when depicting futuristic cities, many films skew towards the ominous. “If you look at the designs of Ebenezer Howard and even Frank Lloyd Wright’s utopian Broadacre City, these are beautiful predictions of a future society. Somehow in film, it seems like the tendency is more dystopian than utopian,” Bergman says. The production designer for Blade Runner intended to depict a “double dystopia" that's harsher and more brutal than the Los Angeles that was depicted in the original film. 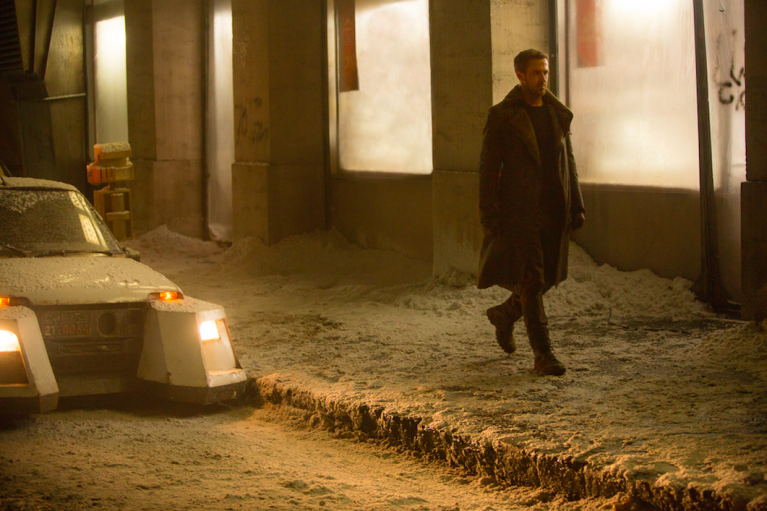 Image courtesy of Warner Bros.
Blade Runner is nominated for Best Production Design in the 90th Academy Awards. 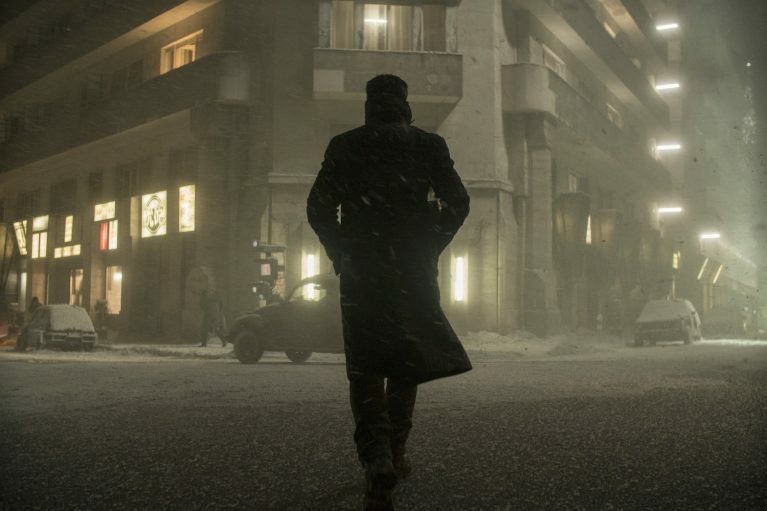 Image courtesy of Warner Bros.
Kyle Bergman says that, when depicting futuristic cities, many films skew towards the ominous. Image courtesy of Warner Bros.
Then there is the Los Angeles in the 2013 movie “Her,” a utopian vision of the city in the not-too-distant future that demonstrates how the city can thrive with the perfect approach in urban planning: efficient public transportation, immediate accessibility to the beach and the great outdoors, towering apartment buildings, “curvaceous” structures and clean air. The production design, which was nominated for a 2014 Academy Award, wasn’t meant to be a comment on overpopulation, pollution or climate change. Instead, it is an idyllic and hopeful portrayal of a Los Angeles where life there is efficient, comfortable and abundant. “It’s optimistic in that the world we presented is pleasant, comfortable, efficient, sunny and easy to navigate. Everything you might need is there,” says KK Barrett, the production designer of “Her”, in an interview with Blueprint, Presented by CBRE. “It’s just that the character is still unhappy in love. It’s not the environment’s fault. It’s his own idealism in pining for a perfect, true relationship,” Barnett adds. In “Her,” Joaquin Phoenix plays Theodore Twombly, an unhappy professional writer who falls in love with an intelligent operating system voiced by Scarlett Johansson. When writing the script, writer and director Spike Jonze’s idea of a futuristic Los Angeles was, says Barrett, “open to visual interpretation,” which created a prime opportunity. Location scouting photos for "Her". Image courtesy of KK Barrett. The office for Handwritten Greeting Cards, the fictional company where Twombly works. Image courtesy of KK Barrett. 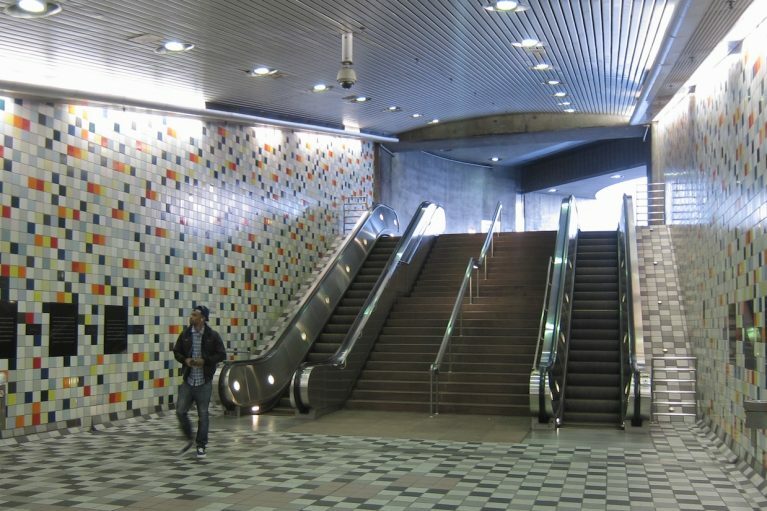 The Los Angeles subway system of the future was filmed in the Hollywood/Western Metro Station, distinguished for its colorful tiles. Image courtesy of KK Barrett. 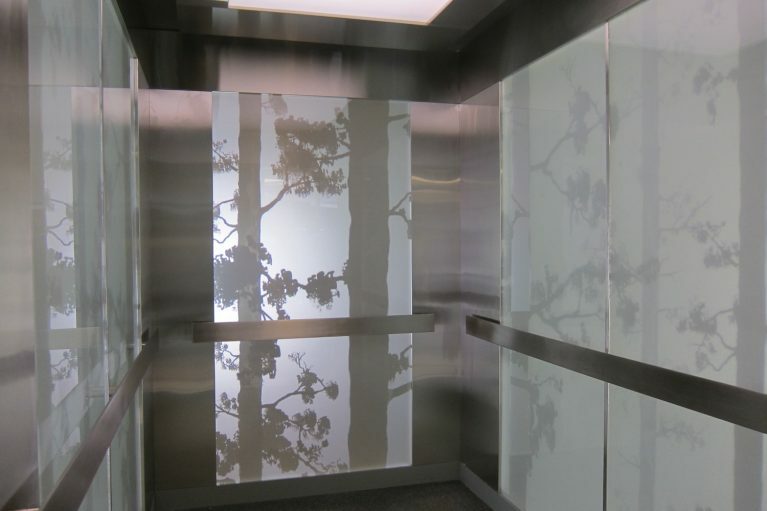 The elevator in Twombly's apartment building. Image courtesy of KK Barrett. “When you’re making a film, you have the luxury of only including in your imagery what relates to your character into your story,” Barrett says. While Barrett and Jonze looked at research and future projections of what cities could look like, the two ultimately decided to make a world that excited them both. Ultimately, the city in “Her” feels rooted in reality and possibility. It shows the potential of a Los Angeles, or any major city, that can thrive and improve the life of its residents as we approach an uncertain future. “It was always (Jonze’s) idea to collage two cities together but call it ‘Los Angeles,’” he says. 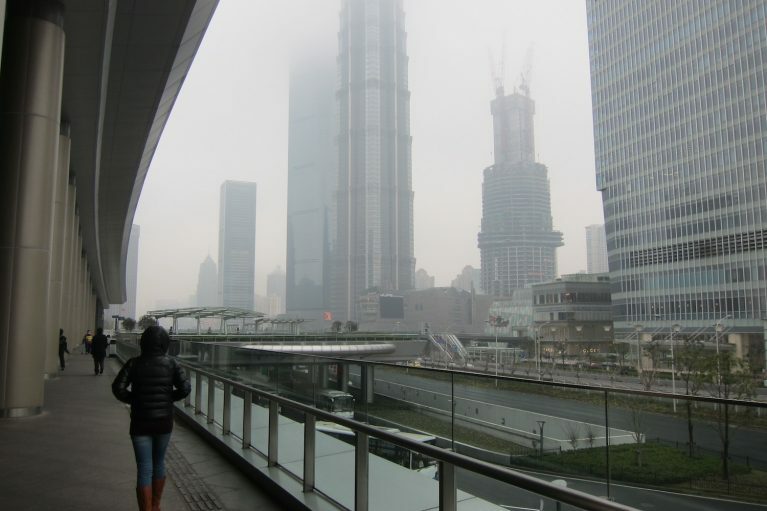 They decided to combine the modern Pudong district in Shanghai (“it seemed modern to us that it had such a short amount of baggage as far as history and abandonment”), with Los Angeles, choosing to film only buildings in the latter city that existed after 1990 so it would pair seamlessly with Pudong’s sleek and futuristic building stock. In Los Angeles, he chose the Watermark Tower Apartments in Downtown L.A. that offered a view of the city so distinct that, “even Los Angeles natives thought it was a set and a [computer-generated] skyline,” says Barrett. For Twombly’s place of work, a company that crafts handwritten love letters for its customers, Barrett “riffed” on recent dot-com office designs. 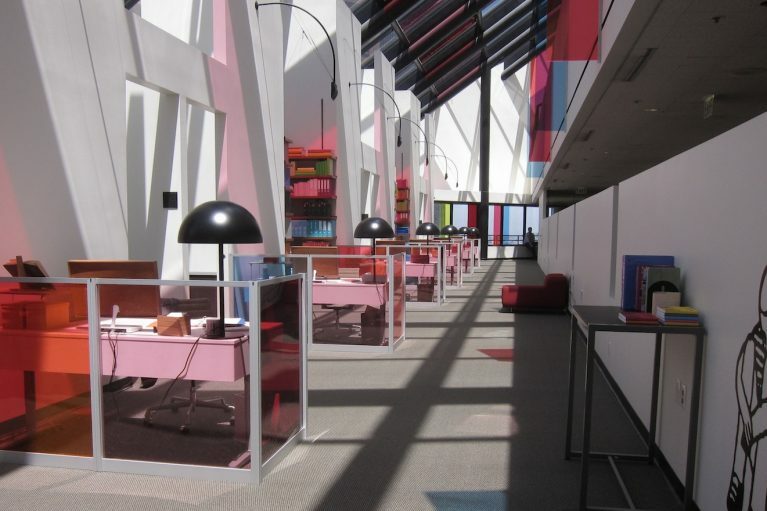 “It was a play on any of these creative workspaces that architects design and we kept looking at them, and they all had these themes of playfulness. But everybody seemed to be working at the desk off in a corner somewhere,” Barrett says. “Change is inevitable and continuous. Rather than always prognosticate that it’s going to be a horrible future, it’s up to the person to decide if they choose to live in density or not,” says Barrett. Hero image courtesy of Warner Bros.